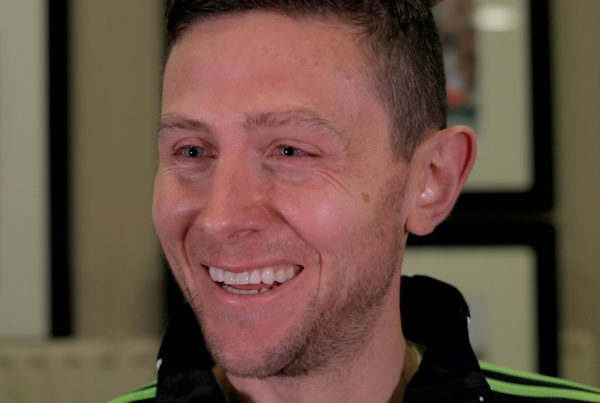 Kerry football legend Marc O’Sé revisits the 2004 AIB Club Championship season where he reached the All-Ireland Final along with his brothers and childhood friends in An Ghaeltacht only to come up short against Galway’s Caltra. In 1988, I started playing football with An Ghaeltacht. There were no under 6s or under 8s that time. We just began playing at under 12s as soon as you were good enough – it was all we had. The family part of it was huge. My uncle Páidí would’ve been the manager of An Ghaeltacht after retiring from Kerry. My brothers Fergal, Darragh, and Tomás were playing and you would have had local teachers passing the door. Tommy Dowd, Seán O’Catháin, and Jack Griffin were the mentors at underage. They would collect the lads and bring them training. As the youngest, I was watching all this, looking at the lads playing and wanting all the time to be part of it. An Ghaeltacht is unique in club GAA. With most clubs it’s one parish but with our club you have so many different parishes coming together like Ventry, Dunquin, Ballyferriter, Ballydavid, Feothanach… It’s sparsely populated but we got to meet all the lads from the different areas that we would’ve played against in the Corn Mhic Eoin (the local school’s competition for An Ghaeltacht). That was great – to finally play with all these lads that we had grown up and gone to secondary school with in Dingle CBS. We were proud of being different. Proud of our culture. Always communicating ‘as Gaelige’. In the 1980s and early 90s, An Ghealtacht wasn’t taken too seriously by the bigger Kerry clubs. 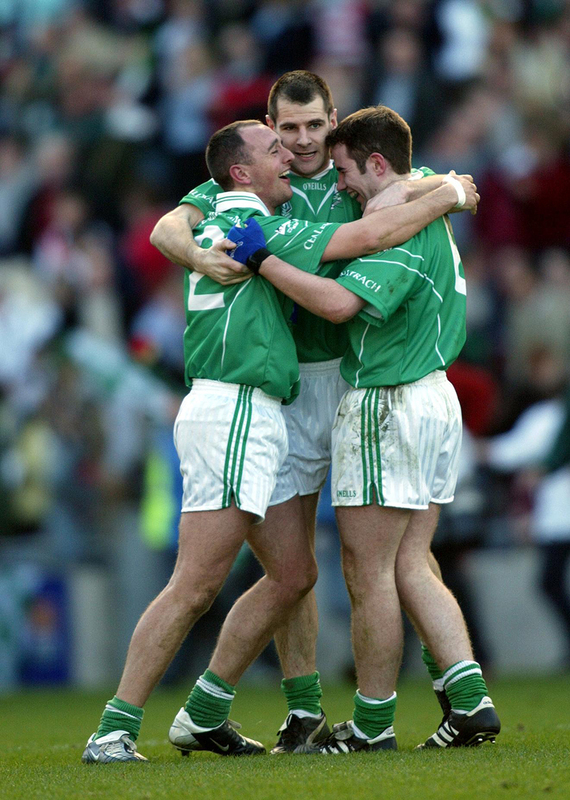 Looking back at Darragh’s team, they changed all that… Darragh, Dara Ó’Cinnéide, Cathal O’Dubhda – those three in particular were a key part of that great Ghaeltacht team. They won under 12 Division 1 county titles and then went all the way up and they were beating the likes of the Stacks, the Crokes, the Laune Rangers… the really strong teams in the county. We were a rural club, to be winning county titles at that time was unheard of. You already had the likes of Tomás, Aodán Mac Gearailt, Rob Mac Gearailt, the Walshes, the O’Conchúirs, JJ Corduff, and all these fellas feeding into that team. It just all came together at the right time for us and we just drove on from there. An Ghaeltacht is worldwide really. Any of the big days we had people ringing from America, Australia, England and all these places just wishing you well. Proud people. They would have gone abroad during the economic downturn in the late 70s/early 80s and they keep their identity to show their pride… where they come from. When we then became successful as a club it made these fellas proud as punch, coming home for big games and county finals. We got to our first county final in 2000 against Dr Crokes. I always say to the Crokes fellas we should have beaten them, we didn’t on the day but we learned our lessons for the following year because we went on then and we won the county final against Austin Stacks. Winning that county title… you can talk about Munster titles, AIB All-Ireland Club Finals and all of that but winning that first county title was just amazing. The game was in Fitzgerald Stadium in Killarney. The crowds that were there were just incredible. There were Gaeltacht people in the stands, and they were playing accordions, the kind of things that are unheard of. That’s our culture, it’s where we’re from and we were immensely proud to win that and win it convincingly as well. When you get to county finals, when you beat a team like Austin Stacks – the kingpins of Kerry – to do it in the style that we did, playing Kerry football the way it should be played… it was a phenomenal feeling and the celebrations that took place afterwards back in the west… led by our captain, Mickey O’Conchúir, we had excuses to go to all the different parishes and celebrate the victory. It’s fair to say we celebrated a bit too much. That was inexperience. It showed when we met Nemo Rangers in the Munster Championship. We lost a match we should have won against one of the great club teams of that era. Tommy Beag Ó’Muircheartaigh hit the crossbar. If that had gone in, I think we would have certainly pushed on, but it wasn’t to be. It was a learning experience. We knew we had a group of players capable of going all the way to Croke Park, but we underachieved in terms of county finals. We lost in 2000, should have beaten Kilcummin in 2002, but we came back strong and won it again in 2003 against Laune Rangers – lucky to do so it has to be said. There was a renewed determination in 2003. We pushed on. We beat St. Senan’s in the Munster final, St. Bridget’s from Dublin in the All Ireland semi-final in Thurles, and then we were on our way to Croke Park. We were playing a good brand of football. 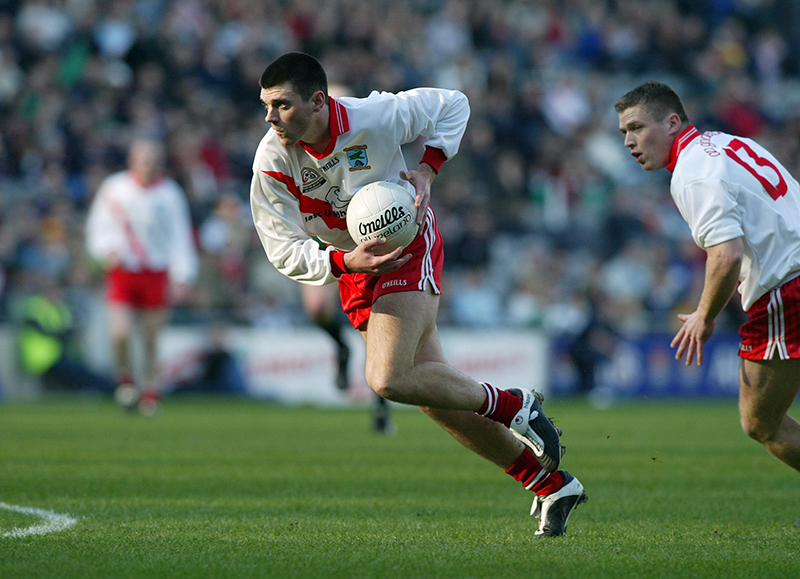 We had players on every line of the field that were talented inter-county players. Aodán Mac Gearailt, Dara Ó’Cinnéide, Rob Mac Gearailt… all these people were in the Kerry panel at some stage. You had Darragh in the middle of the field, you had Tomás in the half back line, and I was in the full back line. We were an experienced outfit and we were definitely confident going into that final. The buzz that you get coming into Croke Park was something that I used to always enjoy. It used to get me going before a game… get the blood flowing. Watching your local people and the passion that they showed and that they’re behind you… it would just mean everything to you. It definitely got me revved up before a game and to see that passion and that support was incredible. You knew then you had a game on. You notice the crowd when you come out first for the warm-up. You look into the stands and you’re saying to yourself “Jesus, there’s a lot of people here”. The lads who were playing for Kerry would have been used to that and you’d have taken no notice of it but from an AIB Club All-Ireland point of view there certainly was a huge crowd there. When the game starts that goes out the window, you’re in a bubble. I had enough on my plate keeping an eye on Michael Meehan in any case. We had all our work done. We had all our pre-game meetings the night before. In hindsight that was overkill. One meeting in particular, with Tom Long, Micheál O’Sé, Liam Ó’Rócháin, Paddy Jack Ó’Cinnéide – we had passionate Kerrymen on our backroom team and the way they spoke, sure we would have gone through the wall that day. But the game was on the following day! You have to channel the emotion at the right time. Hindsight. That said, you can’t take away from what Caltra achieved. We identified their players that could cause us damage. They identified our players that could cause them damage, and over the course the hour they definitely edged that. Tomás was our go-to guy that year, he was playing exceptional stuff. He got Munster club player of the year and they identified that. Declan Meehan had been making huge rallies up the field. We tried to curb his influence, but we didn’t do it as much as we would have hoped. I was marking Michael Meehan and we were way too naïve in terms of the frees that we gave away because any free that came his way, he just put them straight over the bar. Noel Meehan was outstanding at full forward. He was certainly a player that we had underestimated; the influence that he had in the game was just incredible. The game ebbed and flowed. Caltra were coming at us. One of the things I did remember from the game was the emphasis they put on stopping Tomás coming up the field, they pretty much had Tomás Meehan man-marking Darragh in the middle as well. It was clearly part of their game plan. They had their answers for us that day. We’d a great battle, Michael (Meehan) and myself. Yes, I held him to a point from play but his free-taking certainly had a huge influence. If you’d said it me before the game that I was going to hold him to a point from play, I’d have taken that all day long. If you do that to a player of the calibre of Michael Meehan, you’d have to be happy. There’s been certainly days afterwards that I’ve marked him that I haven’t held him to a point! That was the type of player he was – he would just go at you and he’d just ask questions of you. He’s a serious footballer and he was one of my toughest opponents. No doubt about that. Michael was just devastating that day. He was so clinical. It’s no surprise that he got man of the match. Michael Meehan and I had many battles, once you get inside the white line you tear into each other but then there’s a respect that you have when the game is over and that’s the way the game should be played. Ultimately you kill each other on the field but then you come off the field, the friendship that you have that lasts after that, I think it’s what makes the GAA so special. His brother Noel was playing alongside him. Brothers are going to have chemistry anyway, but they were playing in the same line together and they certainly had chemistry, Noel was outstanding, all the Meehans were. It’s important to mention that there were more than just the Meehans playing, they had a fantastic outfit that day, it was very much a team effort. They got their matchups right and ultimately, they won. You don’t pay attention to what’s going on off the field but, when the final whistle blew, I saw the massive disappointment that the Muintir na Gaeltachta were going through. What could have been. The winner takes it all. It was Caltra’s day. It was just devastating. You talk about regrets. You talk about games that you should have won. 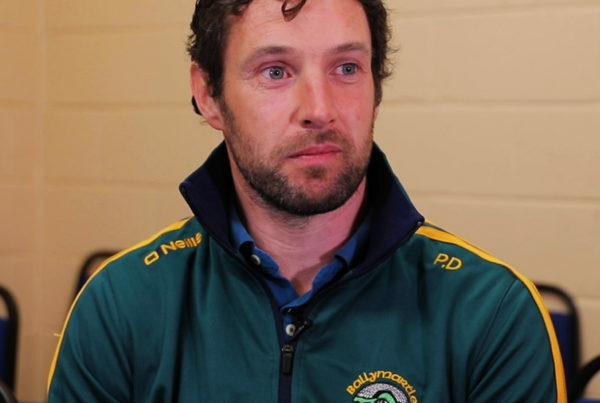 That’s certainly one of the greatest regrets I’ll have because we always felt if you lost an All-Ireland with Kerry that you’d get a chance to get back up there. When you lose an All-Ireland with your club it’s that bit tougher to get back up there and as it transpired, we didn’t win a county final after that. 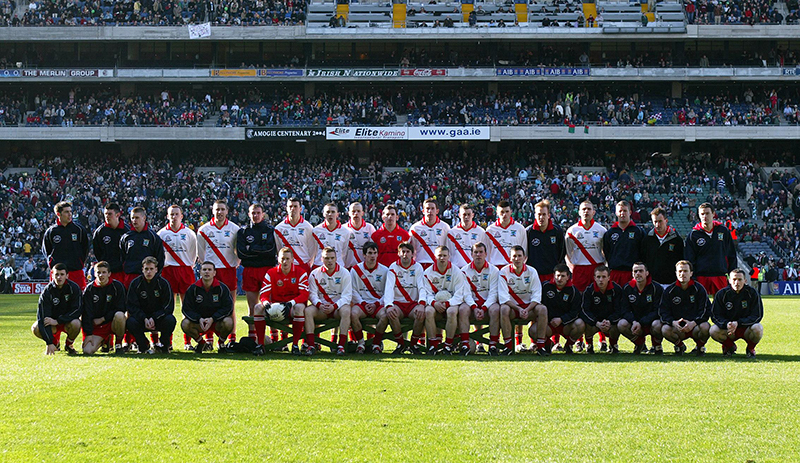 We always felt if we won another county final that we’d have a great chance of getting back to Croke Park. 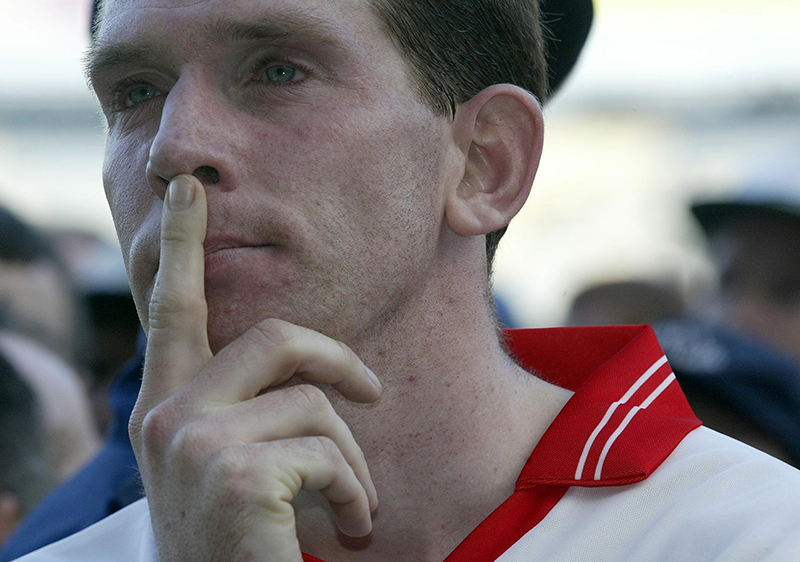 So, the fact that we didn’t win the All-Ireland when we had the chance was hard to take. It was tough for our people. It was tough for the people that came home because we obviously wanted to do it for ourselves, but we wanted to do it for our families. We wanted to do it for those people that were so proud to be coming home from Chicago, Boston, New York, Australia. Also, the people that couldn’t get home for the game. We wanted to do it for all those people, but it wasn’t to be. To come so close but come up short. There are things that stand out. The dressing room afterwards. All I could hear in there was the sound of the fridges in the corner. That was all anyone could hear and it’s a cold eerie place to be when you lose a game like that. 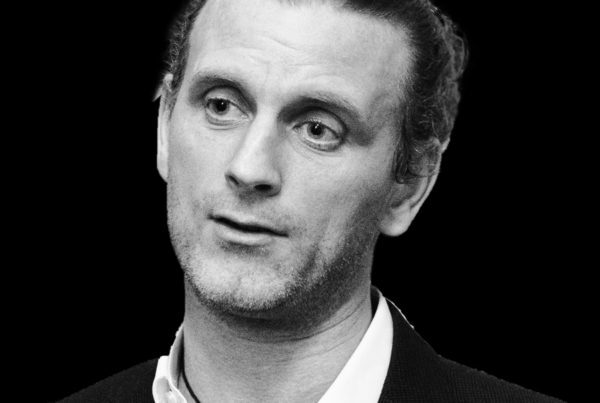 All the lads were just distraught, and you try to dust yourself down… but it’s very hard. Deep down we knew that it would be so difficult to come back. It had been a great journey. It was just fantastic winning the Munster final, seeing the amount of people from the club getting on buses leaving Moran’s petrol station in Dingle and heading off up the country. 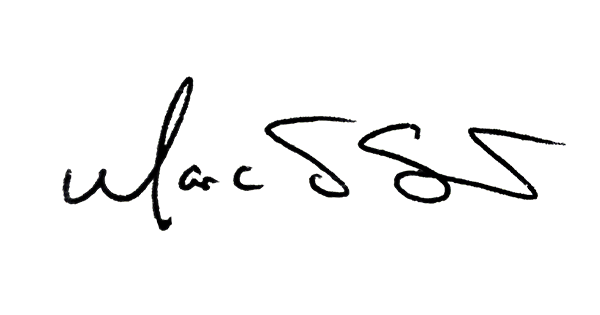 Nothing gives you a buzz like seeing our local people following us. It’s just a shame we didn’t do it in the end because the celebrations would have been unlike anything we’d seen before. The following September we won the All-Ireland with Kerry. 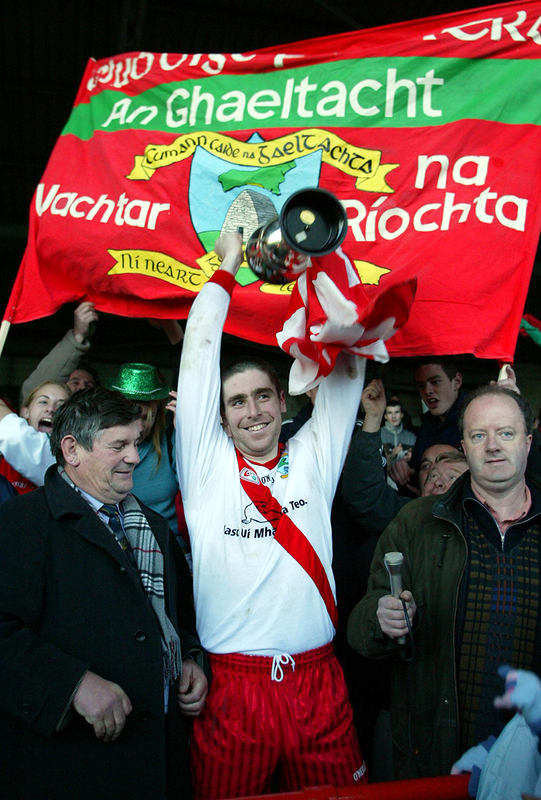 Dara Ó Cinnéide was captain, lifting Sam. In his speech he straight away talked of the “croi briste ar Lá Fhéile Pádraig”. The hurt was still there even in triumph for the county. I was lucky to win five All Irelands with Kerry. I’d gladly trade one of those medals for a different outcome on St. Patrick’s Day 2004. Losing that game will always be my biggest regret. If you enjoyed Marc’s article, you might like to read Johnny Magee’s “I Should Thank Éire Óg For Beating Us“.